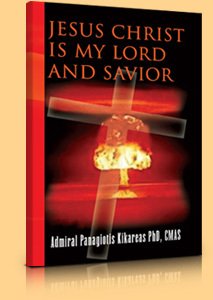 Immerse in a true story that narrates author Panagiotis Kikareas’ journey as he searched for God in his life. Spanning the years of the author’s lifelong search, this account begins with Kikareas’ childhood, where extraordinary things in his life took place. Later still, as an adolescent and a young adult, he faced many tribulations: accidents, sorrows, and very difficult years. He passed through these harrowing events with the best patience he could muster. Soon, he realized that it was God, all along, who helped him thrive. It took me a very long and difficult journey until I was actually able to meet my Creator. I did not find Him, but He came to me and, since then, He has been leading me through many situations, experiences, missions and tests. I know and confess that, without His Grace, I am nothing and can really do nothing correct. So, I decided to write some of the lessons learned, experiences I have had and conclusions I have reached, for the help of my brothers and sisters who will read this book.